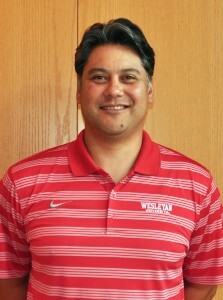 Wesleyan's first full-time sports information director, hired in 1982. Wesleyan class of 1979. 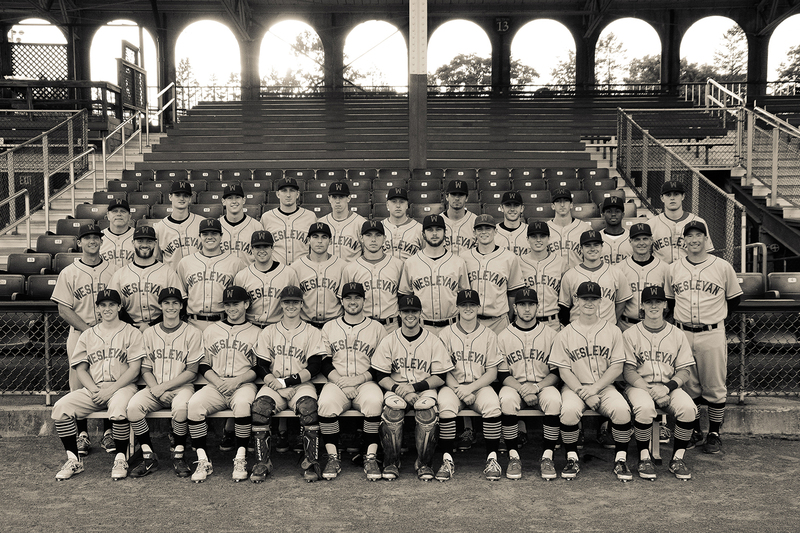 Wesleyan, founded in 1831, and Yale University, founded in 1701, are both celebrating the 150th anniversary of baseball at their respective colleges this year as the two met on Sept. 30, 1865 to inaugurate intercollegiate competition. A lot has changed since then, on and off the diamond, but for one night, students and alumni celebrated the rich history of these two prestigious programs and the great game of baseball. On Sept. 26, to commemorate that first contest, the two clubs squared-off wearing throwback uniforms in an exhibition game at Yale Field. The idea for the game was spawned more than five years ago when Wesleyan head coach Mark Woodworth ’94 and Yale head coach John Stuper talked about playing the game while together at a summer camp. At left, Yale University head coach John Stupe and Wesleyan head coach Mark Woodworth ’94 welcomed Fay Vincent to the reenactment game. Vincent served as the Commissioner of Major League Baseball from 1989 to 1992. 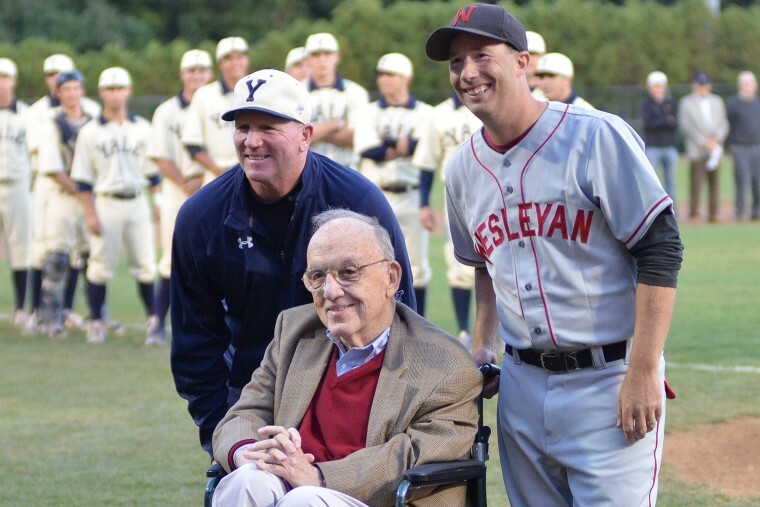 More than 50 Wesleyan baseball alumni attended the game at Yale. 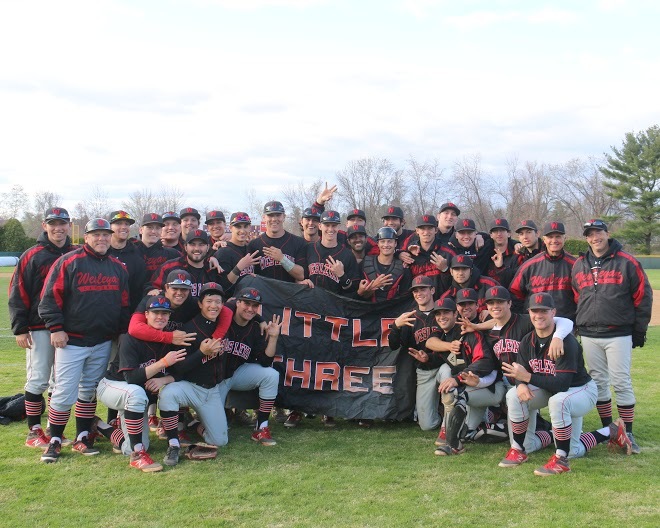 The Cardinals hoped for a better outcome than the 39-13 final score of the original contest, concluded after just eight innings so Wesleyan could make it back home on the last train of the day. That game lasted 3:05. 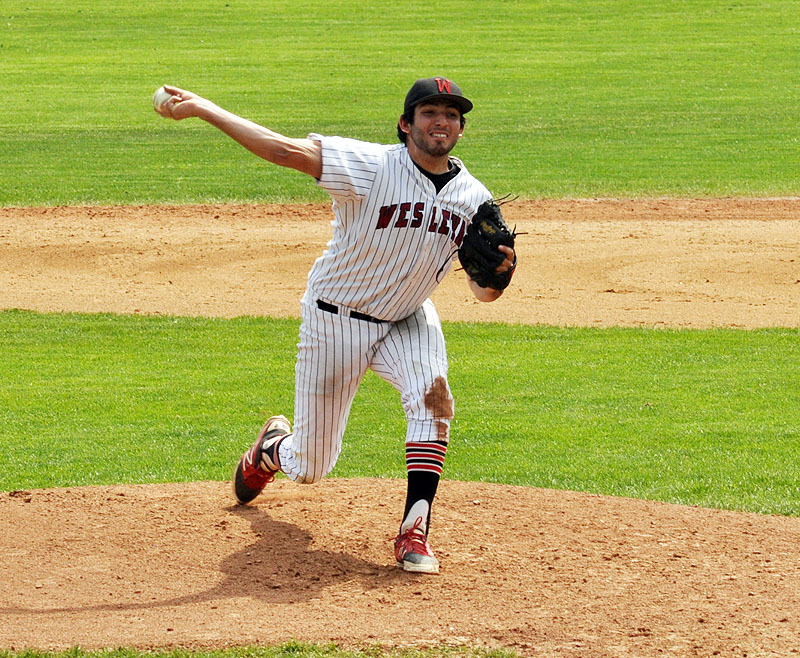 In the 150th anniversary contest, Wesleyan exacted its revenge with a 6-3, 10-inning victory. Ben Somera is the new head coach of women’s volleyball. In this Q&A we speak to Ben Somera Jr., adjunct associate professor of physical education, head coach of volleyball. 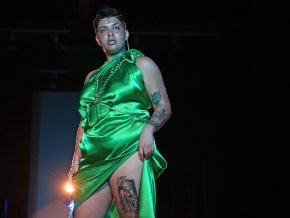 Somera joined the faculty at Wesleyan this summer. Q: Ben, welcome to Wesleyan! You had a very successful three-year stay at New England rival Roger Williams, building the Hawks into a regional and national power in women’s volleyball. 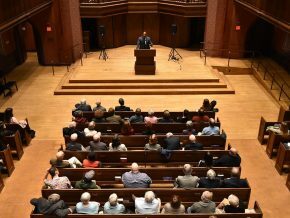 What tempted you to make the move to Wesleyan? A: I have coached collegiate volleyball for almost 20 years and have had the opportunity to experience four university cultures and how they operate. It was important to me that Mike Whalen, our athletics director, wants to win in all sports. I have always believed that the characteristics that lead to academic success are the same for athletic success, and those student-athletes who are willing to prioritize, time-manage, and sacrifice are able to maximize their potential in the classroom and on the court. Three key players in Wesleyan baseball’s fantastic run over the last three years have signed professional baseball contracts this summer. Gavin Pittore ’16 signed a free-agent contract with the Los Angeles Dodgers; alumnus Nick Cooney ’15 signed a contract with the Fargo-Moorhead RedHawks in the independent American Association; and Donnie Cimino ’15 was drafted in the 37th round by the Chicago Cubs. Baseball player Andrew Yin ’15, who helped Wesleyan win two straight NESCAC titles, along with a perfect 12-0 conference record in 2015, was recently named a CoSIDA/Capital One First-Team Academic All-American for the second straight year. He is the only player among the 33 honorees on the three national teams in 2015 to repeat as a first-team choice. 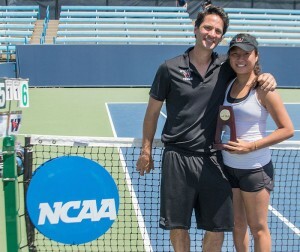 Yin also is the only player among those cited to be a three-time Academic All-American. In 2013, Yin, then a sophomore, made his first appearance as an Academic All-America third-team selection. Sophomores are rare on the squad as only one of the 33 players in 2015 is a sophomore, also a third-teamer. Yin is the only Wesleyan player in any sport to be named an Academic All-American more than once, and is the fifth Cardinal baseball player since 1972 to grace the list. Yin started 38 of 41 games at second base during Wesleyan’s banner 2015 campaign as the Cardinals posted an overall record of 30-11, just the third 30-win campaign in program history. The 2014 Cardinals set the record for wins in a season, going 31-13. Yin hit .309 with 43 hits in 139 at-bats in 2015. He led the Cardinals in walks with 21 and stolen bases, going 17-for-21. His 32 runs scored were second-highest on the team. He knocked in nine runs, had seven doubles and fielded at a crisp .957 mark. He ended his career on a 10-game hitting streak. 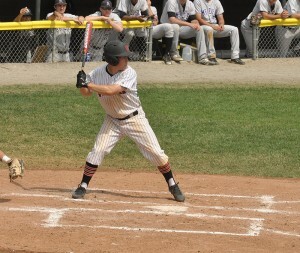 Three of his doubles came in one game and keyed Wesleyan to its 4-3, 12-inning victory over Amherst in the NESCAC title game May 10. Yin doubled and scored in both the 5th and 7th innings, then doubled in the 9th inning to drive in the tying run. Wesleyan won the game on Guy Davidson’s (’16) 12-inning solo homer. 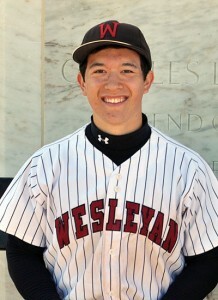 Andrew Yin is the only Wesleyan player in any sport to be named an Academic All-American more than once. 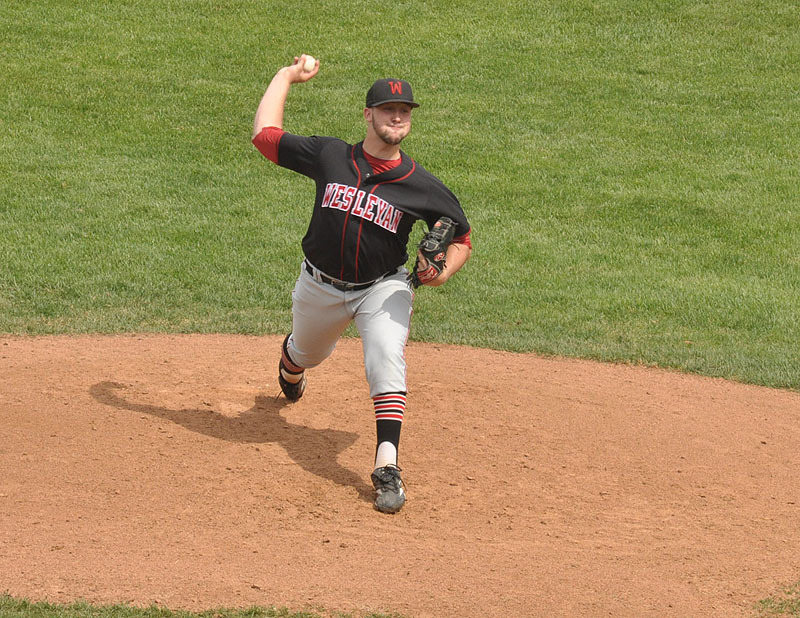 Davidson was among six Cardinals named all-NESCAC in 2015 as he joined pitcher Sam Elias ’15, also named Pitcher of the Year, and first-baseman Sam Goodwin-Boyd ’15 on the first team. Named to the second team were center fielder Donnie Cimino ’15 and pitchers Nick Cooney ’15 and Gavin Pittore ’16. Yin was a first-team all-NESCAC choice in 2013 as well as second-team all-ECAC New England Division III. 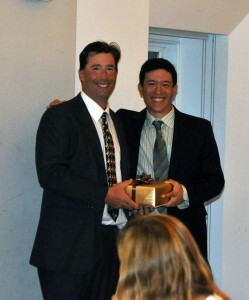 Yin also was the recipient of Wesleyan’s Roger Maynard Award, given to the top senior male scholar-athlete at the university. 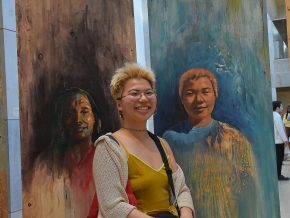 Yin, who graduated May 24 with degrees in chemistry, molecular biology and biochemistry, and neuroscience and behavior, held a cumulative GPA of 4.01. Eudice Chong ’18 claimed the first-ever NCAA Division III tennis title for the Cardinals in a thrilling 6-4, 4-6, 7-5 victory in the title match of the NCAA Division III women’s tennis singles championship in Mason, Ohio on May 23. Named the NESCAC Player and Rookie of the Year, as well as the ITA Division III Rookie of the Year, Chong completed the 2014-15 campaign undefeated in singles play (22-0), dropping just two sets all season, both of them 4-6 to Joulia Likhanskaia of Bowdoin, whom she played for the third time this year in the NCAA finals. Chong also earned All-America honors in doubles this spring as she teamed with Helen Klass-Warch ’18 to reach the NCAA Division III doubles quarterfinals, losing a three-set match to the top-seeded pair from Claremont-Mudd-Scripps. The Cardinal tandem amassed a 20-4 record at No. 1 doubles this year. 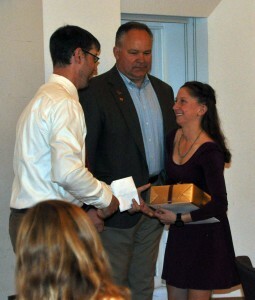 At the banquet, Pat Tynan, head women’s crew coach, and Athletic Director Mike Whalen ’83 presented an award to Brianne Wiemann ’15. 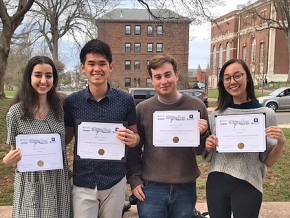 On April 30, more than 150 scholar-athletes, along with their coaches, faculty and staff members, attended the third annual scholar-athlete banquet, held in Beckham Hall. Among the evening’s highlights was the presentation of the Roger Maynard Memorial Awards to women’s crew coxswain Brianne Wiemann ’15 and baseball second baseman Andrew Yin ’15. Since 1970, the award has been presented to the male and female senior student-athletes who best exemplify the spirit, humility and accomplishments of Roger Maynard ’37, a former Wesleyan trustee and standout cross-country and track letterman. As the varsity-eight cox the last two seasons, Wiemann was integral in helping the Cardinals reach the NCAA Division III Championships a year ago. During that competition, she was named the Elite 89 winner for Division III women’s rowing as the participant in the Championships with the highest overall GPA. Wesleyan’s 2015 varsity eight squad is ranked ninth nationally in Division III heading into the New England Championships on May 2. Yin took over as the Cardinals’ starting second baseman during his freshman year and enjoyed a string of 118 consecutive starts for the team over a four-year span. 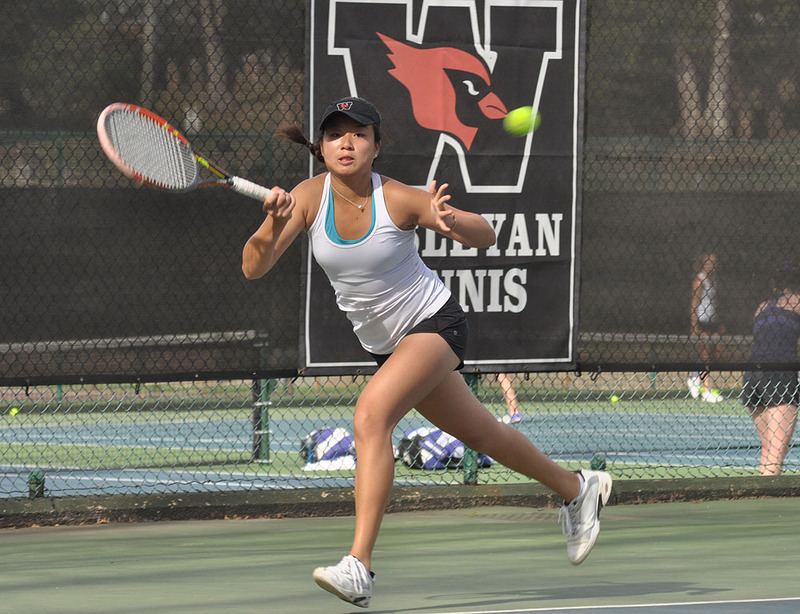 Heading into the final weekend of the 2015 regular season, Yin has 183 career hits, ranking third all-time at Wesleyan. He was a first-team CoSIDA/Capital One Academic All-American in 2014 after earning third-team honors as a sophomore. That year he also received first-team all-NESCAC and second-team all-ECAC New England Division III laurels. 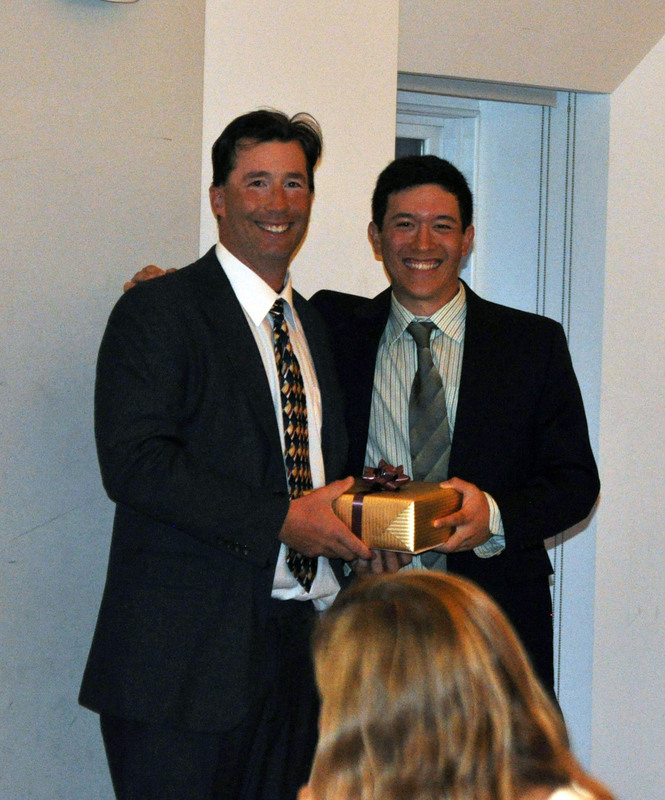 Head baseball coach Mark Woodworth with Andrew Yin ’15. Wesleyan supporter and team orthopedic surgeon Dr. Bruck Moeckel, who has serviced the Cardinal athletic community for 23 years, was also honored at the banquet with the Cardinal Award. Presented by Wesleyan’s Athletic Advisory Council (AAC), the award recognizes a member of the Wesleyan community who has provided tremendous service and support to athletics. During the banquet, Yin and women’s swimming standout Angela Slevin ’15 also spoke about their time as Wesleyan student-athletes. Slevin holds or is part of 11 Wesleyan school records, and was an NCAA Division III Swimming & Diving Championships qualifier as a junior. She has been all-NESCAC throughout her career. Attendees at the event were selected from 310 student-athletes who met the minimum qualification of a 3.2 cumulative GPA with at least sophomore status academically. That group was then whittled down to the 168 who received an invitation to the dinner based on a combination of their athletic accomplishment and the strength of their academic achievement. 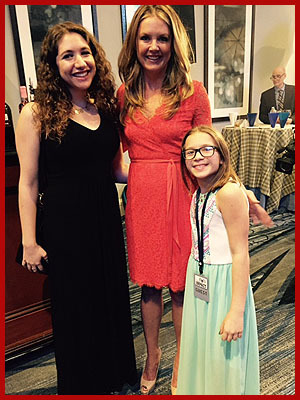 Carly Feinman ’16, ESPN personality Wendi Nix, and Aliana Fichera at the TeamIMPACT event in Boston, April 2. On April 2, Carly Feinman ’16, a diver on Wesleyan’s swimming and diving team, and 10-year-old Aliana Fichera, a local girl who has become an honorary member of the team, spoke on a panel during the TeamIMPACT Game Day Gala in Boston. In November 2014, Aliana was “drafted” onto the Wesleyan team through the TeamIMPACT program, which matches children facing life-threatening and chronic illnesses with local college athletic teams. Aliana has attended numerous Wesleyan meets and team functions, and the team members have visited with Aliana during her treatments for Common Variable Immunodeficiency (CVID) and for her meets with her swim team in Rocky Hill, Conn. 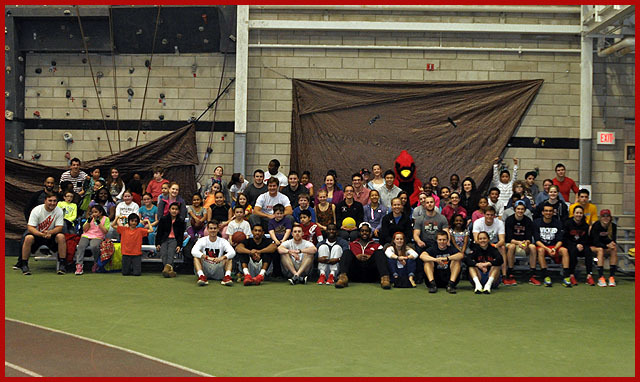 Approximately 45 student from the Macdonough School in Middletown came to Wesleyan for recess April 2. It was the fifth year in a row that an area school has been invited to Wesleyan’s Bacon Field House for a noontime recess in eary April. Student-athletes from many Wesleyan athletic teams have spent significant amounts of time at Macdonough over the last five years to act as role models and speak to the students there on a variety of topics, such as sportsmanship.